I see this opening title and I can actually hear Linda Lavin singing the theme tune. LOVE IT! There are a few series I've watched so often in syndication--too many, my mother would quip-- that I have not only the plots memorized, but the rhythm and flow of the dialogue is a part of, what feels like, my being. 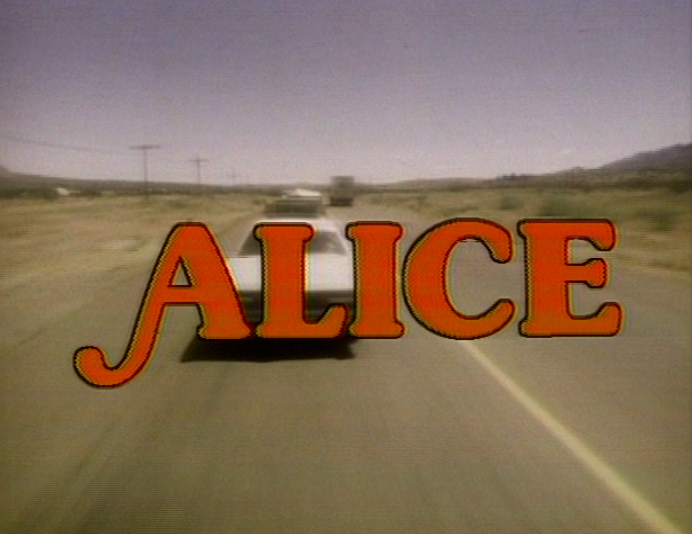 The 1970s sitcom Alice is one of those series. (If you're curious, so is The Brady Bunch, The Partridge Family, The Odd Couple, The Facts of Life, Laverne & Shirley, Happy Days, Gimme a Break.... I'll stop there before I embarrass myself even further). 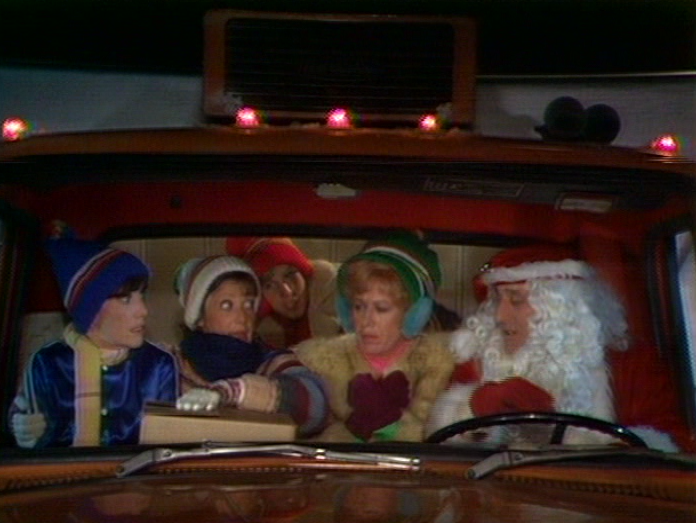 How long has it been since you've seen the 1977 Christmas episode "A Semi-Merry Christmas" from the series Alice? Waitresses Vera and Flo think nothing of celebrating the holidays with an artificially colored pink tree while living in the desert of Arizona. However, Alice longs to experience another white Christmas. Alice is excited because she's been invited by her cousin to come to their home in Colorado Springs to celebrate with the family and enjoy a white Christmas. She's looking forward to treating her thirteen year-old son Tommy to a snow-filled holiday--something she hasn't been able to give him since they left New Jersey. All Alice needs is her bonus check from Mel and she'll buy the bus tickets to Colorado Springs. The waitresses don't want to hear Mel's bad news. Jason complains that his wife wants him home for Christmas--what's he to do? Later, Mel hears his regular diner patron, Jason Carp, complain about having to work over the Christmas holiday and Mel offers to drive Jason's eighteen-wheeler for him to Denver. Now Mel can offer Alice and Tommy a free ride to Colorado Springs--and earn $200 for completing Jason's job for him. Alice is so excited that her trip is back on and she invites her friends Vera and Flo to join her for Christmas. It's gonna be a white Christmas after all for the crew from Phoenix. 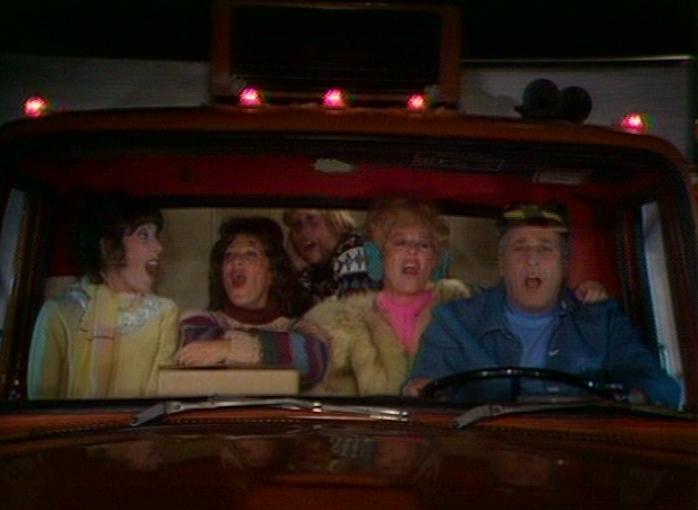 All five persons fit inside the cab of the semi-truck and the gang merrily sing Christmas carols as they head into the Rocky Mountains. Alice shares that she's made knitted hats as gifts for her cousin's children, and baked and assembled a gingerbread house too. Mel is excited for the holiday party as well--he's packed a Santa suit to surprise the children on Christmas Eve. Tommy is enjoying the long drive and displays his knowledge of CB jargon. Nothing makes this episode feel more like the '70s than hearing all the CB jargon again. Can you guess what Flo adopts as her CB handle? "Hot Cargo." As the long road trip continues, Mel decides to nap while Alice (whose husband used to be a long-haul trucker as well) continues the drive towards Colorado Springs. 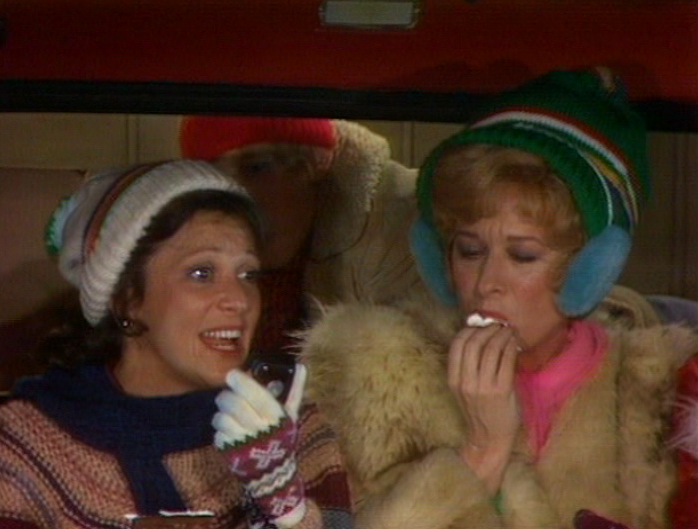 Unfortunately, Flo misreads the map, ditzy Vera was silent about crucial road signs, and the gang finds themselves stopped and stranded in deep snow on a closed mountain road! The CB isn't receiving or sending any signal. Mel finally awakens and steps outside to investigate--but falls through the ice in a ditch and is drenched in frozen water. The travelers turn off the motor in the truck to preserve fuel but the cab becomes quite cold, as the friends begin to point fingers at who is to blame for their misery. Feeling cold and hungry, the waitresses don the knitted hats, Mel wears the Santa suit, and they all end up eating the treasured gingerbread house--while stranded in the truck. Afraid they'll spend Christmas cold, hungry, and isolated in the truck, Tommy voices that he's having one of the best Christmases of his life. He reminds them that they have had fun talking on the CB, singing Christmas carols, eating the gingerbread house, seeing more snow than ever before--and they've done it all together. Though this isn't the Christmas they all had planned, the gang agree that it has been a good Christmas after all. Tommy reminds them that spending Christmas with those you love is the best holiday after all. 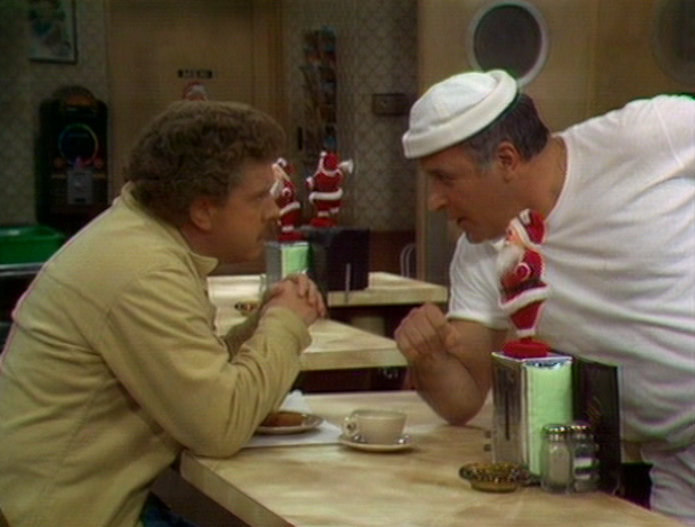 The way this episode's conflict is resolved reminds me of many other sitcom Christmas episodes. A family--here a workplace family, a family of friends--choose to be happy with the best of unexpected circumstances at Christmas. I actually like that plot line--it's serves as a reminder each Christmas season to choose to be happy at the holidays. --the animated series King of the Hill's 2003 episode "Livin' on Reds, Vitamin C, and Propane." --the mystery drama Monk's 2006 episode "Mr. Monk Meets His Dad." --even the 2003 holiday episode of The Simpsons entitled "Tis the Fifteenth Season" features a brief reference to a humorous Christmas carol, "Christmas Convoy"--a parody of C.W. McColl's hit song "Convoy" which was featured in the 1978 movie Convoy about truckers. The Duke Boys reunite in 1987's Christmas Comes to Willow Creek. Can you think of any other trucking-themed Christmas stories in the popular culture? 10-4, Good Buddy! 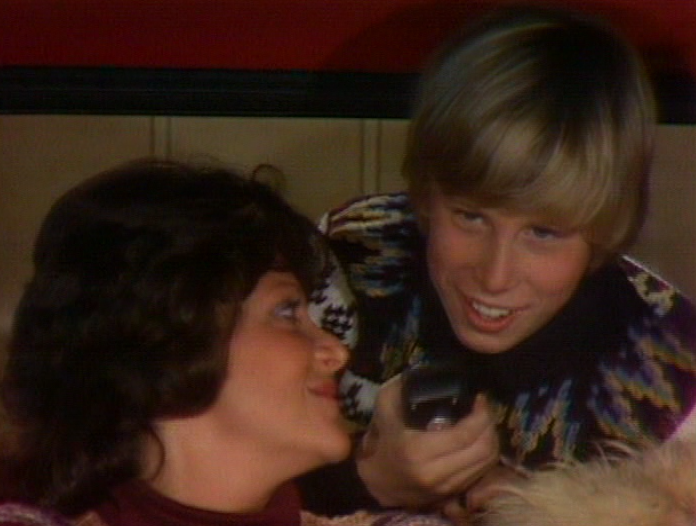 Movin' On, two part episode, Goin' Home aired 12 and 19 Dec. 1974, and you already know about B.J. & the Bear's "Silent Night, Unholy Night"